Dr. Willie Jolley answers the age-old question of, what are the key secrets that sustain successful organizations through difficult times. His answers are born out of his work with helping Ford Motor Company go from the brink of bankruptcy in 2006 to being positioned to reject the Government bailout in 2009, and on to billion profits every quarter since 2009. Success magazine called him “Ford’s Secret Weapon!” In this program Dr. Jolley shares strategies and ideas that your attendees can employ to transform their businesses as well. The five areas of development that can be used immediately to change your thinking and change your business. Dr. Willie Jolley believes leadership is an action not a position! He reminds us that great leaders always focus on the possibilities rather than the challenges! Great leaders are willing to do whatever is necessary rather than doing what is comfortable! And leaders look to develop more leaders rather than more followers! Dr. Jolley takes you on a memorable roller coaster ride of why you must develop the leader within you and then gives you the steps for getting it done! It requires sweat equity, but so does anything that produces great achievement! Whether you are an association executive, sales professional, entrepreneur, business owner, or manager…you will experience growth and renewed enthusiasm for reaching and exceeding your goals! The power of “Better” for creating leaders at every level of the organization! Change Is Good…When Your Attitude is GREAT! In this program, the audience is sold on the positive perspective of change! Change is essential to any growth process. Everybody wants progress, but nobody wants to change! Dr. Willie Jolley shares his patented “VDAD” (vision, decision, action, desire) Formula for successfully embracing change. You will leave this program viewing change as an ally - not an enemy. You will leave ready to implement the formula to drive change. You will leave believing that change “truly” is good when your attitude is great! How to create an all-star team where everybody is an MVP! Turn Your Setbacks into Comebacks! Taken from his popular television special, Turning Setbacks into Comebacks, Dr. Willie Jolley explains how in these times of uncertainty, high anxiety and fear for financial security, we can survive, and dare we think, thrive! Dr. Willie Jolley is right on time with this message of how to turn your setbacks into comebacks! He has interviewed people of all walks of life on how they came back from great adversity. He shares their techniques, ideas, principles and strategies that proved successful! And furthermore, he explains how to apply those principles to your life’s trials and tribulations to achieve success! While others may speak of turning setbacks into comebacks, Dr. Jolley wrote the international best selling book…A Setback Is A Setup For A Comeback! Prepare an action plan to bulletproof their future! Many complain of the challenges with today's youth and the negative influences (alcohol, glorification of violence, striving for low achievement), which often cut their lives short. Willie Jolley is doing something to change that statistic. He is doing something positive to reach the hearts and minds of students and help them have greater success in school, home and community! And most importantly, he gets RESULTS! Parents and educators alike have called Dr. Willie Jolley "a life-changing force of today's youth!" Would you like to be the one to influence your friends? Do you want to be courageous? Do you want to do great things in your life? Then…don’t make decisions for today! Join TV and radio personality, Dr. Willie Jolley for your road map to building your successful future! Results! He is the speaker who helped Ford Motors go from the brink of bankruptcy to billion dollar profits, and he can help you too! Named "One of the Outstanding 5 Speakers In The World”, "A Legend of The Speaking industry” & “Top 5 Leadership Speakers"
High Impact! High Content! High Competence! Great Results! 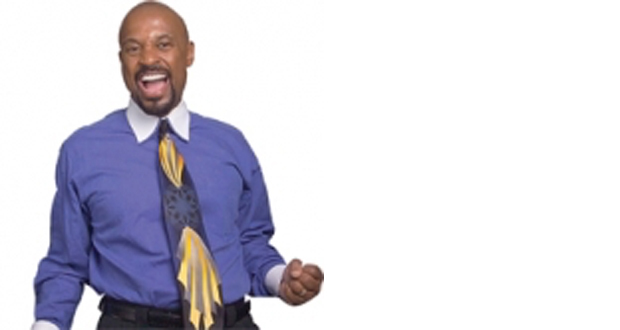 Dr. Willie Jolley is a world renowned speaker, singer, author and media personality. In 1999 he was named “One of the Outstanding Five Speakers in the World” & “Motivational / Inspirational Speaker of The Year” by the 175,000 members of Toastmasters International. Dr. Jolley is the host of the #1 Motivational Show in America on Sirius XM and is heard daily with his Motivational Minute on WHUR FM preceding Steve Harvey. He also has a popular podcast on IHeart Radio. He is the author of several international best-selling books including It Only Takes A Minute To Change Your Life, A Setback Is A Setup For A Comeback, Turn Setbacks Into Greenbacks , An Attitude of Excellence and his new marriage book with his wife, Dee, entitled Make Love, Make Money, Make It Last! He resides with his wife of over 32 years in Washington DC. It Only Takes a Minute to Change Your Life! "Your message of the importance of taking a positive approach to a less than desirable situation was refreshing and inspirational, and exactly what the employees needed to hear. The professional style in which you delivered your message gave you instant credibility and allowed the audience to value the information that you were providing. Your willingness to adjust to adverse speaking conditions at several venues was greatly appreciated, as was your flexibility exhibited in accepting last minute changes to both scheduled dates and times." "We are truly amazed each year at the amount of work and effort it takes to plan and execute the Sagicor Motivational Seminar. My eyes have only now been opened to the fact that we truly are on a NEW MISSION each time we set out to raise the bar year after year with our seminar. A significant part of the mission is to find world class speakers who will inspire, uplift and resonate. We accomplished our mission when we found you! We cannot express in words how grateful we are for your contribution to the success of SMS2012. Your inspirational, uplifting and thought-provoking message resonated with the entire team. It is unquestionable how far your message has reached and the value it has added to our individual journey. This is already evident in the overwhelming volume of calls and e-mails that we have received since the conclusion of your presentation. We are so happy that we had the opportunity to connect with you and in turn connect you with the rest of the team. Our attendees left feeling a renewed sense of hope and spirit to challenge their individual and collective mission going forward. On behalf of the entire Sagicor family, we say thank you and wish you all the best in your future pursuits." "I wanted to thank for your involvement in our face to fact meeting this week. Willie's speech was very well received to the point that a number of the team either referred back to it over the course of our meeting to emphasize a point or rally around an idea. I think everyone thought that it was a great investment of our time and helped get the team aligned for the tough conversations we needed to have around organization and team work. So again, THANK YOU for your very positive message and we look forward to working with you again in the near future!" "On behalf of the Society for Human Resource Management, please accept my heartfelt and sincere thanks for the inspiring presentation you gave the SHRM staff. I believe your message touched many lives. Your unique and motivating style caused us all to think more carefully about taking responsibility for our own words, thoughts and deeds. Diversity messages can sometimes be murky, and the audience may go away not clearly understanding-or being moved by-the speaker's message. That, however, was not the case with you. By bringing us through an enlightening journey about valuing diversity, you helped us understand the importance of leadership, change, challenge and responsibility. The stories you chose to punctuate your teaching points were as profound as they were memorable. Thank you for reinforcing life's important lessons. Thank you too for reminding us how important it is to dream, to care, and to make music together by embracing diversity and valuing it." "Unbelievable","Fantastic","Uplifting" were just a few of the comments that I heard after your extremely motivating presentation to our Sales Executives in Orlando. Thank you so much for being a part of our Sales Training Conference. You were the perfect ending to a great meeting and it is difficult to find the words to express how you made everyone feel. Your enthusiasm and passion for life was apparent when you addressed our group. Our Sales Executives have sent me letters, notes and emails about the conference and they have all referenced what a difference you made in how they will approach their jobs as well as their lives. Our Sales Training Conference survey has returned with you receiving the highest marks from the group. Thanks again for an outstanding performance. You were right on the mark and accomplished everything we needed." "This conference was the highest rated conference to date and that is over 6 years. You hit the ball out of the park!"